Simon Biggs' artistic interest in electronic and digital media goes back to the 1970s. Since then, he has evolved into one of the leading artists of the field by working as scholar, writer and curator who explores a multitude of subjects within Digital Art including digital poetics, interactive and performative environments and posthumanity. Biggs' art works have been exhibited across the world (including Tate Modern, Centre George Pompidou, Walker Art Center, Akademie der Kuenste Berlin), and he has held keynotes at conferences worldwide (including ISEA 2015 and ICA 2008). He was principal investigator of the HERA-funded research project ELMCIP, which developed an open.access, contributory database for electronic literature. Publications include "Remediating the Social"(2012) and "Autopoeisis" (with James Leach, 2004). Biggs' earliest works in the genre of Digital Graphics consisted of minimalistic real-time computer animations constructed algorithmically. Today, his research topics range from augmented reality and performance environments, to electronic writing and data analysis. Biggs focuses on the influence of digitisation on our bodily perception between artificial intelligence, phenomenology and semiotics, through his works giving insight into the production and reception of meaning within a socio-technical system. 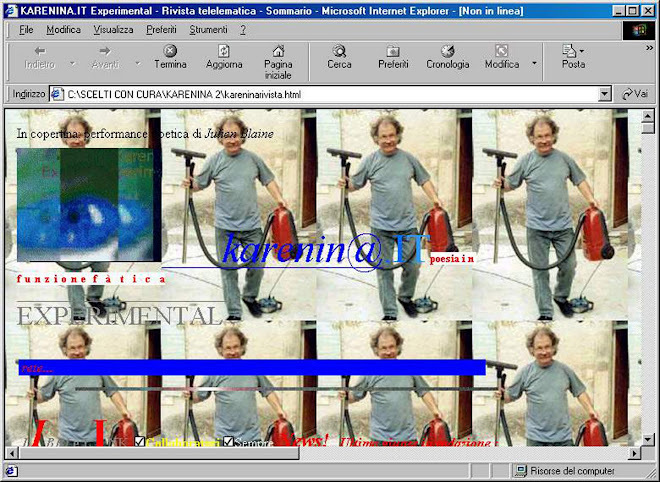 The manifold expressions of his art vary from digitally mediated performance installations to computer programmes. For instance, "The Great Wall of China" (1996) is a real-time interactive language machine, which was shown in a website, a CD-ROM and an interactive installation. Through object-oriented and behavioural programming techniques based on a basic grammar system, text emerges from the formation of the language itself as something simultaneously written and read. Continuing such an investigation, in "Dark Matter" (2016) multiple participants interact with textual fragments, and infer from the physical and cultural information around these texts questions of "collective unconscious" within individual knowledge and identity. Sean CUBITT: Unlike the familiar human-computer interface, Biggs opens up the body to the experience of the digital: moves the corporeal from the stasis of cinema (and the railway carriage) to the movement of architecture, ghosting in the secular the Gothic's divine architecture of light, but preserving the escape from destiny so long fought for and so weakly held. Wolf LIESER: As one of the first artists ever, Simon Biggs has not only made his net art works available online, but pioneered in publishing a CD-ROM with interactive software art in 2000, which sold out immediately. ADA keywords: Artificial intelligence, Algorithm, Digital Graphics, Installation, Representation of Knowledge, Literature, Performativity. The ARCHIVE OF DIGITAL ART (ADA), the first web 2.0 based online archive in the humanities, expands its scope of documentation by including scholars to the database. ARTISTS and SCHOLARS are invited to become members of the online community and set up their ADA profile! Community members can upload publications and PDFs, announce upcoming events, post comments, document exhibitions, conferences and other relevant news. Since its foundation in 1999, the ARCHIVE OF DIGITAL ART (former Database of Virtual Art) has grown to be the most important online archive for digital art. In cooperation with established media artists, researchers and institutions it has been documenting the rapidly evolving world of digital art and its related fields for more than a decade and contains today a selection of thousands of artworks at the intersection of art, science and technology. ARTISTS and SCHOLARS are invited to join the community and set up their own archive pages. The large assortment of information on Jeffrey SHAW and hundreds of other leading artists and their artworks were carried out by the artists themselves in assistance with members of the ADA community. The new ADA web tool allows members to archive artist statements, works descriptions, literature, information on exhibitions, high resolution images, blueprints, videos etc. Artists and scholars are invited to contribute actively to the archive and to work collaboratively on the documentation and analysis of digital art. Due to the processual, ephemeral, interactive, technology-based and fundamentally context-dependent character of digital art, it is at risk for becoming extinct without an adequate documentation. Therefore, the ADA is based on an expanded concept of documentation, which takes account of the specific conditions of digital art. NADARAJAN, Martin ROTH, et. al.